CrazyDog T-shirts were created in an Ithaca college dorm in 2004, by Bill Kingston. The shirts began as his final project for an e-commerce class, and after the project he continued receiving orders, therefore, he continued printing the t shirts. The CrazyDog T-shirts were officially incorporated the same year, 2004. In 2006 Bill along with his wife Brie moved their headquarters from their home in Rochester, New York to the city in a small office space. By 2012 CrazyDog T-shirts had moved to a 7000 sq ft shipping warehouse. They specialize in funny and vintage t shirts. Their designs are printed on ultra soft shirts. Over 80% of the designs sold are printed in house and they also offer selections from partners such as Junk food clothing, Ripple Junction, David and Goliath and Goodie Two Sleeves. Crazy Dog T-shirts functions a full service screen printing shop, they offer low prices on custom apparel for both personal and business orders. My 30 year old son picked out the "I'm Fine" T Shirt which has a big fake blood injury on the stomach. He loves it! He wears it every where waiting for reactions. He is very amused when people turn to look at it. I should have insisted he chose a bigger size as this is quite snug. The T-shirt is soft and comfortable. The letters are perfectly even even though it does not look it in the picture. He has others and is just as happy with them. They make very interesting conversation pieces! Next he would like to get one of the many Vintage or Funny T's. They also have a selection of Maternity, Zombie, Children and Babies, Holiday, also many more. I am very pleased and would not change anything, except maybe my sons' choices! Ugh, that looked gruesome! But real, I have to give them credit for that. Might be a nice place to get gag gifts! lol... looks like the zombies got to that person! I love their big selection of tee shirts, they really have something for everyone. I can see why your son love the shirt. My son would probably have the same reaction. These are crazy and funny T-shirts. My son would love to have a shirt like this just to see people's reactions. I am going to have to go over and check this site out I am in need of a good laugh. thank you for your honest review. 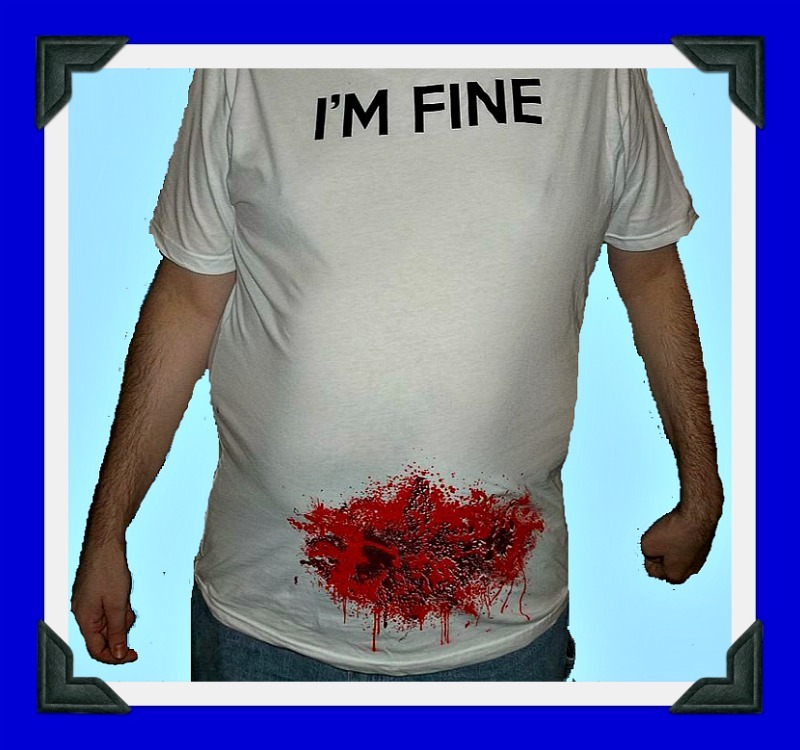 Ha ha, you definitely have to have a sense of humor to wear these shirts! I think you have to have a very weird sense of humor to wear one of these crazy looking shirts. NO WAY!!! These are crazy! I think that kids would love this but then so would my husband lol. They are very inventive.